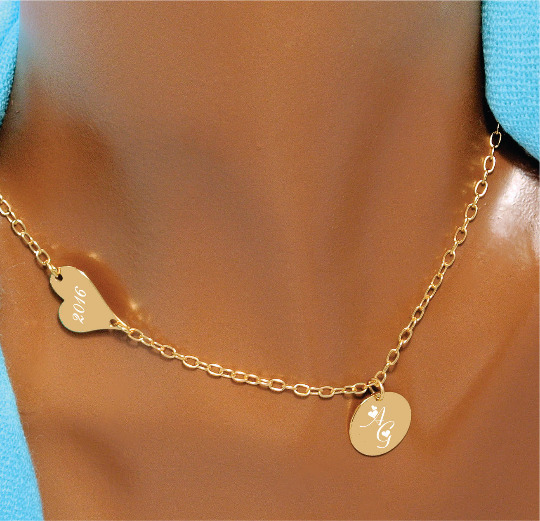 Gold Filled Sideways Heart & Circle Charm Necklace. Necklace pendants can be engraved with any name or initials. This gold necklace will never change color, corrode or fade.